Micro ring hair extensions are the safest as no glue, heat, bond or stitching is used in their application, so no chemicals, solvents or heat are needed in their removal. 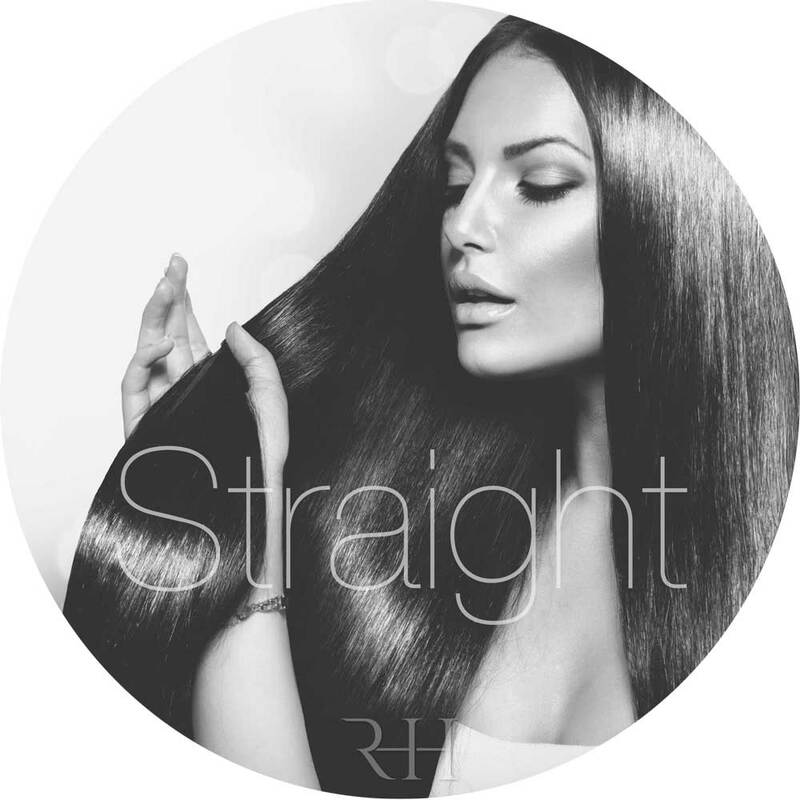 We use micro ring hair extensions with an innovative polymer-based bond, which encapsulates each micro ring strand so that they are ready for application. No glue, no chemicals and no mess, just a tiny aluminium micro ring. The pre-bonded hair extensions also ensure that unnecessary hair shedding from the extensions don’t add to the natural hair shedding cycle of your hair, allowing your extensions to last longer and have less matting between maintenance appointments. Each micro ring hair extension is secured to your hair around 1cm from the base of the root and your scalp, this allows the extension to fall flat, just as your hair does. It also means it’s virtually undetectable amongst your natural hair. This gap also allows you own hair to grow uninterrupted and allows your scalp to breath. Micro ring hair extensions are positioned carefully and strategically around your head, ensuring they remain completely undetectable and blend with the natural hair. At least an inch gap is left around the hairline and the "no go" areas are also avoided, so that you can wear your hair up and the extension links will not be visible. 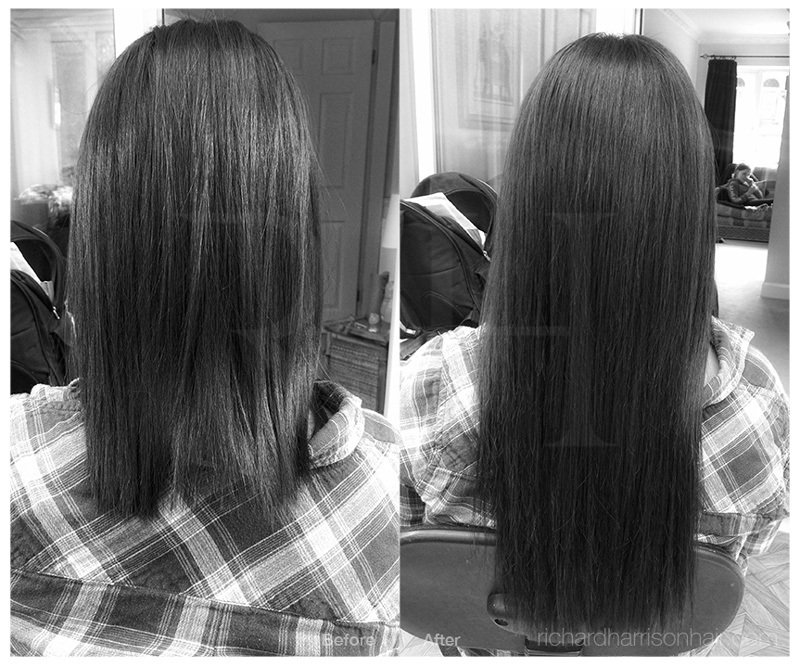 Due to the extensions being so small and versatile we can fit them to short and fine styles a lot easier, with less damage and without a trace. Try doing that with messy glued-in extensions or bulky clip in, weft or weave extensions. Whatever your hair type, our hair extensions will always look completely natural, just as though it was your very own hair. The hair in our micro rings hair extensions comes in an exclusive range of over 50 vibrant colours including 10 natural shades of blonde, so I can colour match your hair perfectly. We have over 50 beautifully vibrant colours and shades to choose from, with over 10 shades of blonde alone, ensuring we match your colour accurately resulting in the most natural looking extensions which are virtually indistinguishable from your own hair. 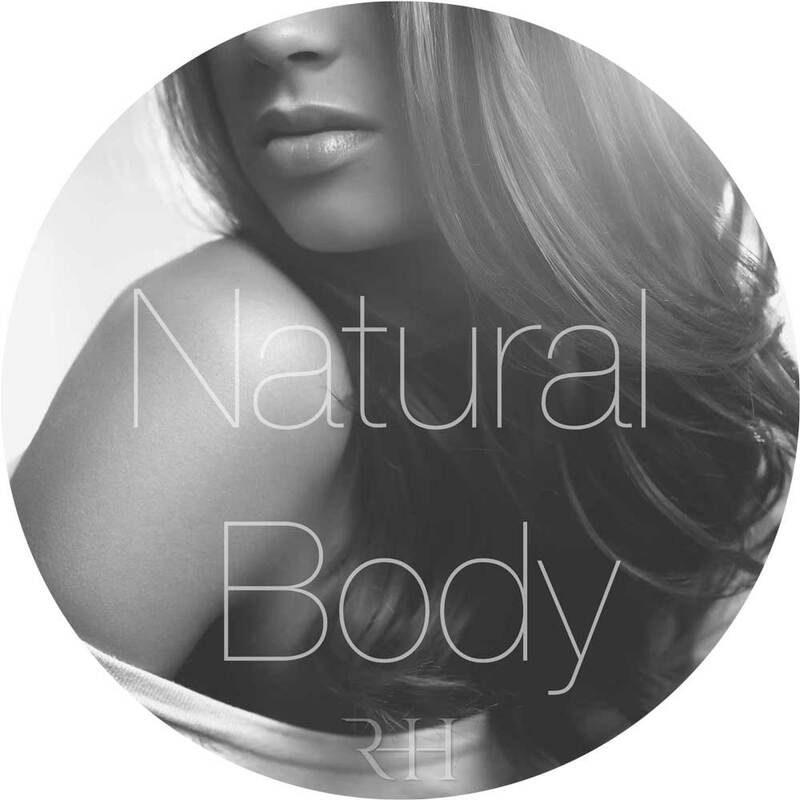 Our hair is available in 3 main textures, Straight, Wavy (Natural Body) and Curly. These hair textures allow us to match your hair extension requirements accurately and faithfully. The textures also ensure the finished product blends perfectly with you existing style. Remember I don't have an expensive salon to stock or run, therefore I can pass the savings onto you, check out our prices, you'll be surprised. Our hair is available in lengths from 10” to 22”, that’s a huge 55cm long, taking the average length ladies hairstyle down to bra-strap length. A suitable length to achieve your desired look will be decided upon during your personal consultation. 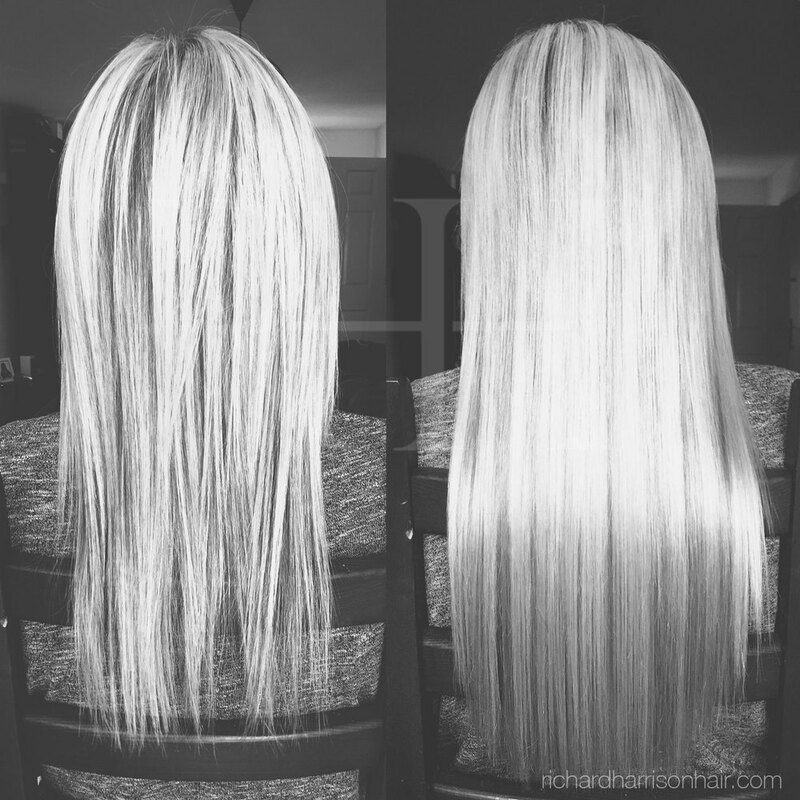 The length of extensions does affect the cost slightly, the longer they are the more they cost, naturally as this hair has taken far longer to grow. 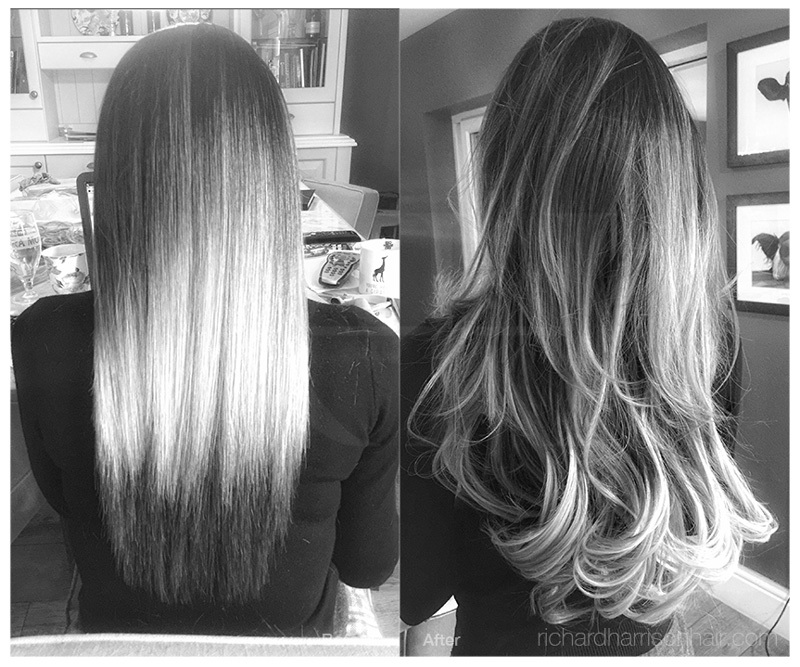 A small selection our most recent micro ring hair extension clients and their testimonials. Having provided clients for over a decade with cutting-edge hair styling for one of the world’s leading hair design studios. My dedication and passion is to make women like you happy through transforming your hair style beautifully. My micro ring hair extension, strand by strand application technique is not only one of the safest, non-damaging, most discreet methods. It also creates one that is natural and free-flowing giving the perfect illusion of natural hair. All of our micro ring hair extension appointments come with a comprehensive consultation completed in your own home, completely free from obligation or charge. 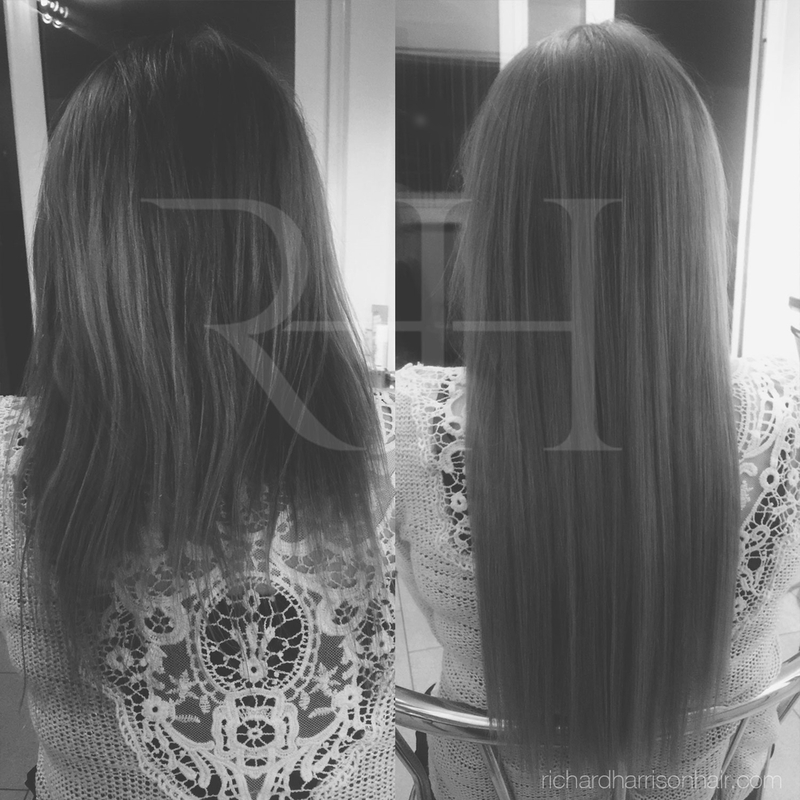 Unlike most hair extension services, our unique difference is that I come to you, to complete your free personal consultation and your hair extension fitting and maintenance appointments. All carried out in your home or another pre-agreed location or venue. During your personal consultation I will firstly agree on what you wish to be the desired result, is it length; thickness or both? I will also agree on whether you want the extensions to blend perfectly with your existing colour or whether you want to introduce colouring effects such as highlights or sections, which can be a subtle or vibrant colours throughout your final hair style. The consultation is where you get to detail your wishlist of what you want from your new style; exciting isn’t it? It also allows me time to get to know you, your personality, your hair and how you wear it naturally. Only when you are completely satisfied with the process, end results, maintenance and final cost will I make an appointment to complete your extensions. We complete all consultations face to face, free of charge and free from obligation to purchase, so you have ultimate confidence in what is a significant decision. So what style, colour and texture will you go for?